At EVO, we like to keep up to date the progress of young players who attend our events. From time to time, we even feature them in our blog! One fantastic young player we would like to congratulate is Jasmine (Jas) Woods. Jas has been coming to EVO Hockey camps and events since we launched in October 2015. One year on, in October 2016, she was recognised for her progress and achievements by winning EVO Hockey's highest honour, the Janne Müller-Wieland Trousers of Destiny. These were presented to her at camp by EVO coach, 5 x Olympian & former World Player of the Year, Germany's most capped female player Natascha Keller. Over the summer, Jas has impressed in County trials - being selected for Surrey - and continues to perform well for her hockey club Guildford HC. 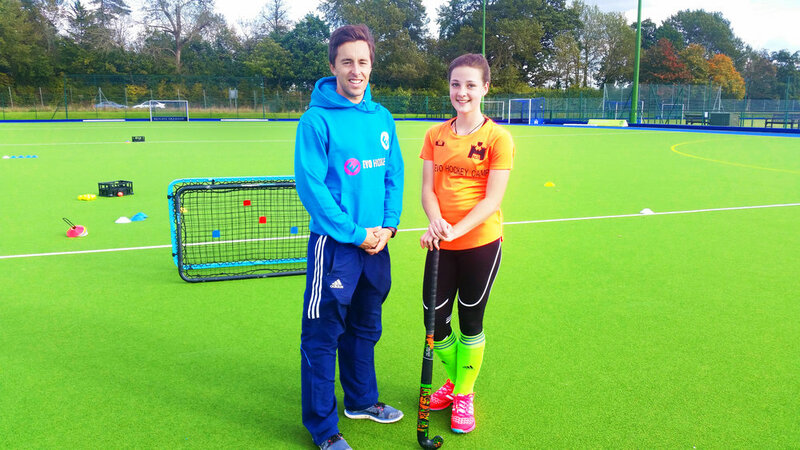 Jas has benefitted from EVO's hockey camps and 1-1 training and we look forward to continuing to assist her on her hockey journey. Check out Jas in her awesome personalised EVO bobble hat and hoodie, wearing the Trousers of Destiny, below. You can get personalised EVO training kit and other great gear in our Shop.